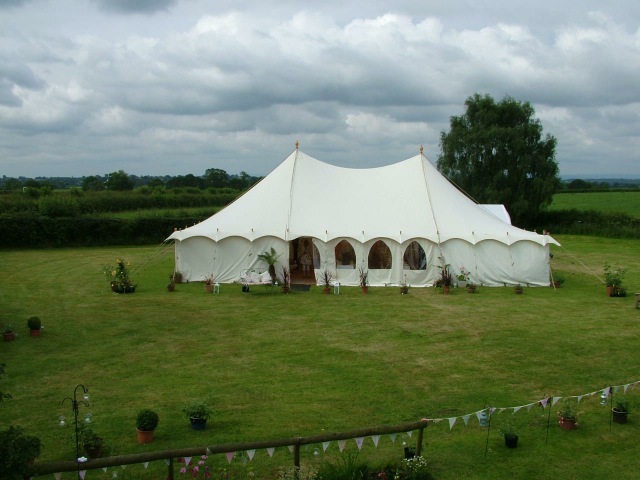 New Tent for hire for weddings and parties in the UK. We have a new tent for hire! So it’s mid February 2013 which means the imminent arrival of our brand new Petal tent. We are calling her “Scoopy Scoopy Do” , or the “Scoopy ” tent range No 8. It has attracted a lot of attention since we announced that we were offering it and is already booked for many weddings in 2013 as well as some in 2014! Get your enquiries in pronto! Find information on prices and theming options for your event througout our blog. We’ve invested lots of time over the last few weeks into decor material to add even more luxury to your event. Photos coming soon. So if you are looking for a new tent for hire ask us! This entry was posted in alternative weddings, circus theme wedding, festival theme wedding, Marquee Hire, Uncategorized, Weddings and tagged bigtopmania, canvas marquee, dinner party, luxury venue, vintage marquee hire, wedding marquee, wedding tent. Bookmark the permalink.